Yesterday, an international magazine, The Cut.com had published an article about Priyanka Chopra and Nick Jonas. The author of the article, who was a woman, accused the actress of cashing on her ‘fraudulent relationship’ with Nick ‘against his will’, indicating that the Amercian singer just a wanted a ‘fling’, not a marriage. The piece is full of racist, first world complex and misogynist undertones. “Even more upsetting, she’s a scam artist who never even took the time to make sure he was comfortable riding a horse before arranging for him to enter their wedding ceremony on horseback,” Smith wrote. 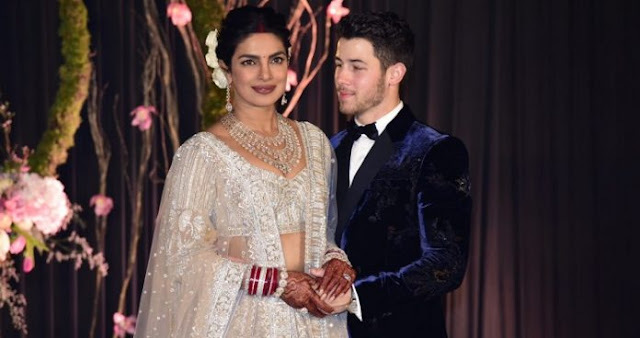 Soon after the news was published, it received backlash from Bollywood celebs like Sonam Kapoor and Sona Mohapatra among others, apart from million and zillion fans of the couple. After the furore, the international magazine had to eventually remove the article from their website. “An earlier story about Priyanka Chopra and Nick Jonas did not meet our standards. We’ve removed it and apologize,” The Cut wrote on its official Twitter handle. Recently, when Priyanka was asked about the same, she said, “I don’t even want to react or comment. It’s not even in my stratosphere. I’m in a happy place at this moment. These kinds of random things can’t disturb it”.